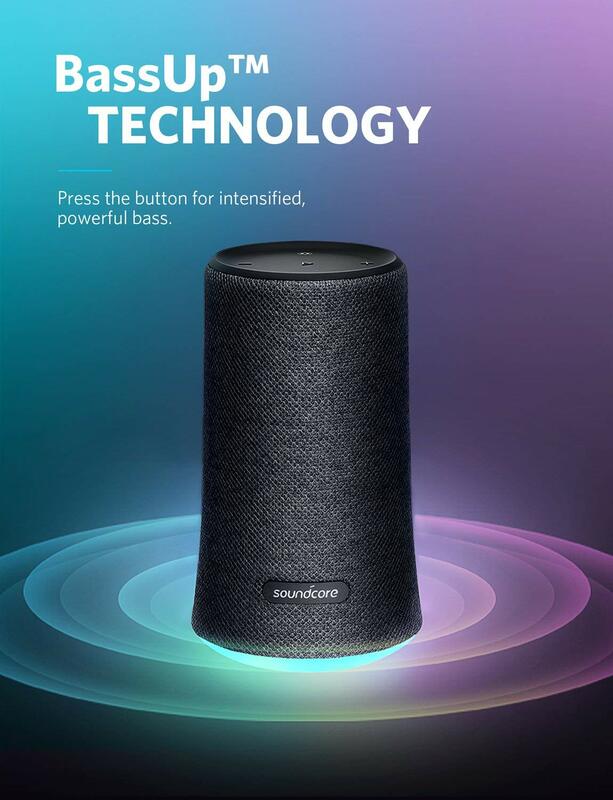 Give everyone in the room stage-side passes; the Anker SoundCore Flare B2B powers intense 360° sound via back-to-back full-range drivers and thumping bass radiators. A customised digital signal processor first analyses and then enhances your music’s bass frequencies in real time. This audio signal is then turned into intensified sound via state-of-the-art neodymium drivers. Just press the BassUp button and prepare yourself for power. Watch a halo of LEDs phase, pulse and shine with the rhythm of your music for a completely immersive audiovisual experience. 5 customisable modes elevate the atmosphere of any event or setting. No matter where the music needs to be, Flare is suited up and ready. 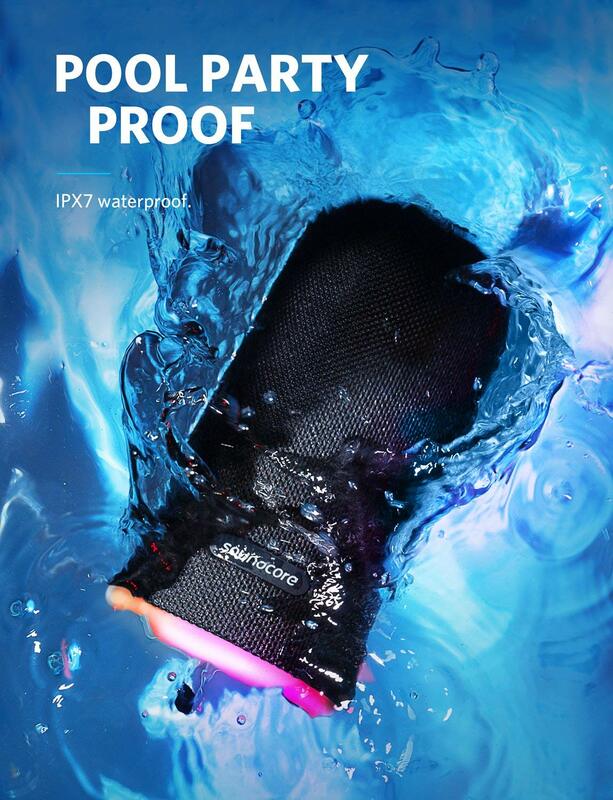 Super-safe IPX7 protection effortlessly withstands spills, rain and even complete submersion in water. Flare is the first speaker to utilise the all-new Soundcore app; simple-but-powerful software that allows complete customisation of Flare’s sound and lights via smartphone or tablet. 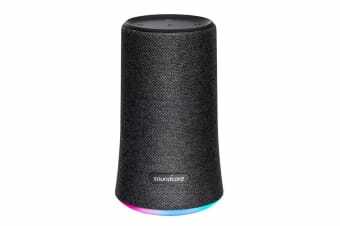 Enjoy almost 250 songs from a single charge and make sure the party never ends early – if you can keep dancing Flare can keep playing.